﻿ April 2018: What’s New with Constant Contact? » Red Mango Marketing! 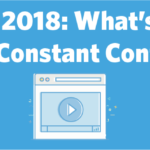 April 2018: What’s New with Constant Contact? April showers bring… the latest and greatest enhancements to Constant Contact! Take two minutes to learn more about the new improvements and features available in your Constant Contact account. The post April 2018: What’s New with Constant Contact? appeared first on Constant Contact Blogs. This entry was posted on Wednesday, April 11th, 2018 at 8:00 am	and is filed under Email Marketing, News & Updates. You can follow any responses to this entry through the RSS 2.0 feed. Both comments and pings are currently closed.